Reliable and repeatable measurement is important in all science experience, so as the synthetic biology. Aiming to repeat measurements in different labs and make measurement tools more available, the Measurement Committee chose GFP as the measurement marker, providing with a detailed protocol and data analysis form, and invite all the iGEM teams to participate in the Interlab study. This is the Fifth Measurement InterLab and we are honored to take part in the study this year. The objective of the Interlab this year is to reduce lab-to-lab variability in fluorescence measurements by normalizing to absolute cell count or colony-forming units (CFUs) instead of OD. Following the requirements and protocol gave by the Measurement Committee, we have obtained and uploaded the data. We also submitted flow cytometry data for extra credit. 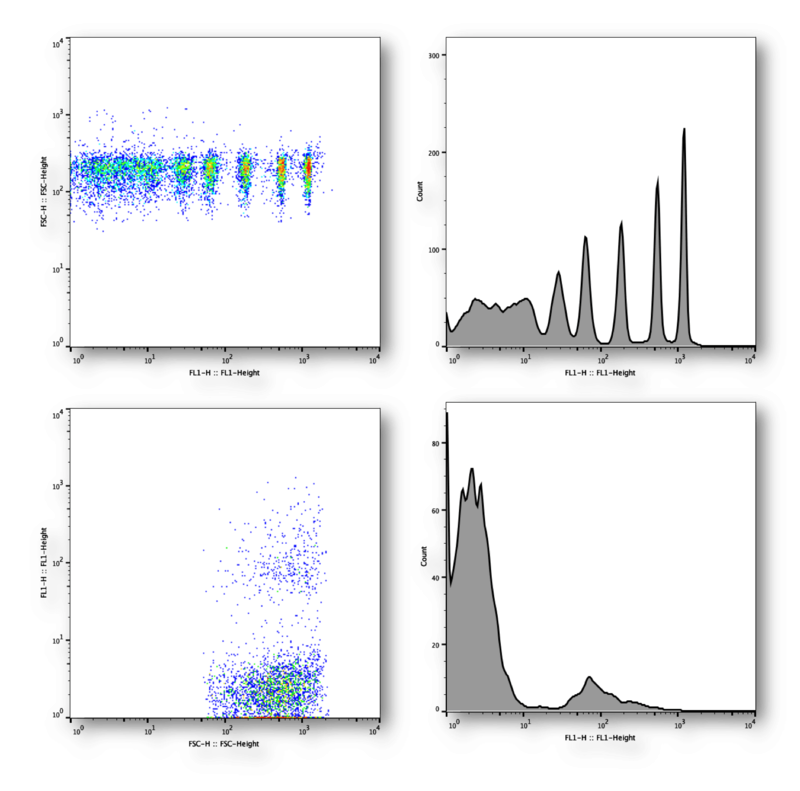 Resuspend DNA in selected wells in the Distribution Kit with 10 µL ddH20. Thaw competent cells on ice. Pipette 25 µL of competent cells into 1.5 mL tube per transformation and add 2 µL of resuspended DNA into it. Incubate on ice for 30 min. Heat shock tubes at 42°C for 90 sec. Then incubate on ice for 5 min. Add 1000 µL LB media with Chloramphenicol (1000×) to each transformation. Incubate at 37°C for 1 hours, shaking at 200-300 rpm. Pipette 100 µL of each transformation onto LB plates (Chloramphenicol, 1000×). Spread with sterilized spreader. Incubate transformations overnight (14-18 hours) at 37°C. Pick 2 single colonies from each of plate and inoculate it on 5-10 mL LB medium with Chloramphenicol (1000×). Grow the cells overnight (16-18 hours) at 37°C and 220 rpm. We used the plate reader Synergy Neo2 for all the measurements and we used black 96 well plates with flat, transparent bottom. Add 100 µl LUDOX into wells A1, B1, C1, D1 and 100 µl of H2O into wells A2, B2, C2, D2. Then measure absorbance at 600 nm of all samples in all standard measurement modes in instrument and turn off the pathlength correction at the same time. The temperature setting was 26.6°C. Record the data. Obtain the tube labeled “Silica Beads“ from the InterLab test kit and vortex vigorously for 30 seconds. Then immediately pipet 96 µL microspheres into a 1.5 mL eppendorf tube. Add 904 µL of ddH2O to the microspheres and vortex well. Prepare the serial dilution of microspheres as shown below. Set 4 copies. Measure the plate in plate reader, the excitation filter was set to 485nm/10nm and the emission filter was set to 525nm/10nm. Pathlength correction was turned off. The gain setting was 50. Fluorescence was from the top. The temperature setting was 26.6°C. Record the data. Spin down fluorescein stock tube. 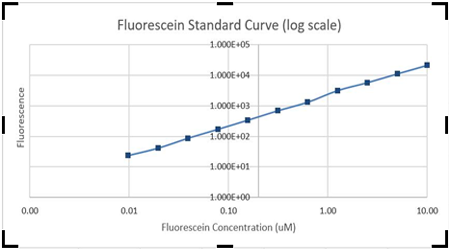 Prepare 10x fluorescein stock solution (100 µM) by resuspending fluorescein in 1 mL of 1xPBS. 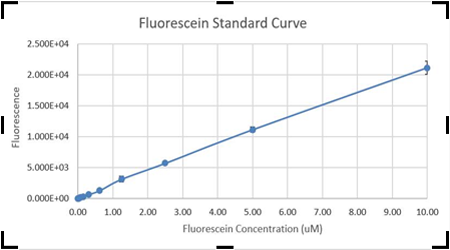 Dilute the 10x fluorescein stock solution with 1xPBS to make a 1x fluorescein solution with concentration 10 µM. 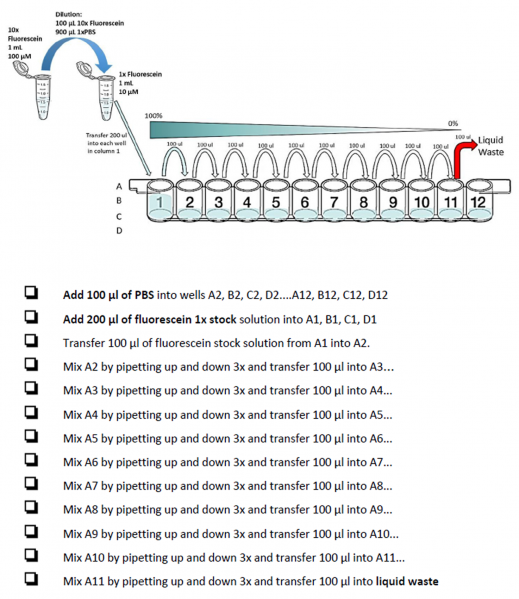 Prepare the serial dilutions of fluorescein as shown below. Set 4 copies. 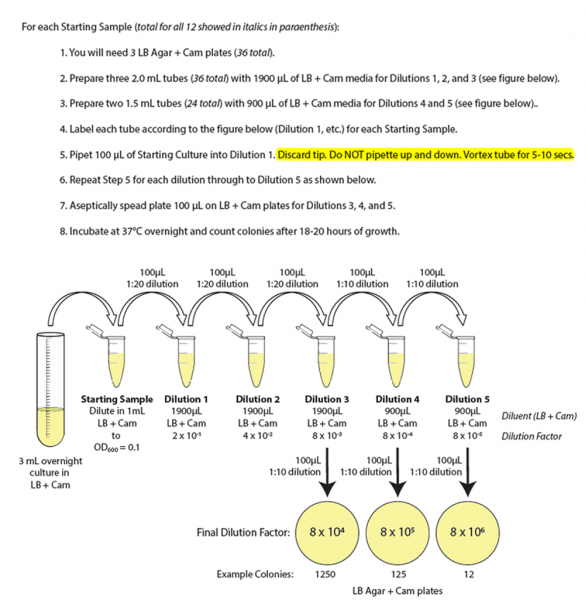 Make a 1:10 dilution of of the overnight cultures prepared after colony selection in LB medium + Chloramphenicol and measure Abs 600 of these 1:10 diluted cultures. Then dilute the cultures further to a target Abs600 of 0.02 in a final volume of 12 ml LB medium + Chloramphenicol in 50 mL falcon tube (amber or covered with foil to block light). Incubate the cultures at 37°C and 220 rpm. 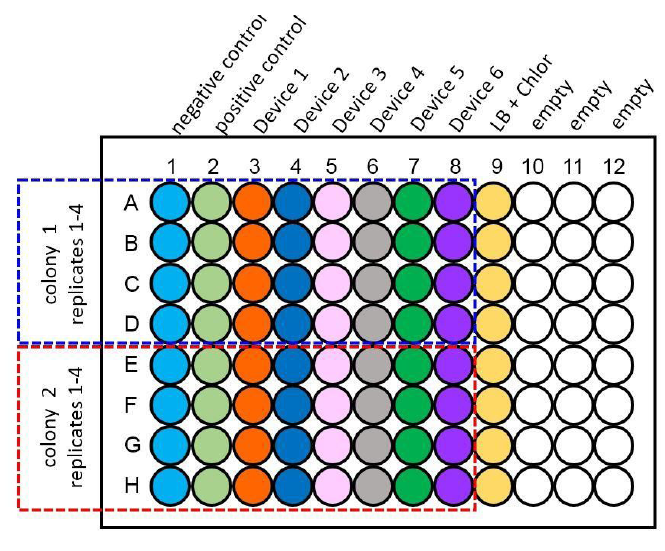 Take 500 µL samples of the cultures from each of the 8 devices, two colonies per device, at 0 and 6 hours of incubation and add them into 96 well plates as shown below. Place samples on ice before measurements. Measure the samples (Abs 600 and fluorescence measurement). 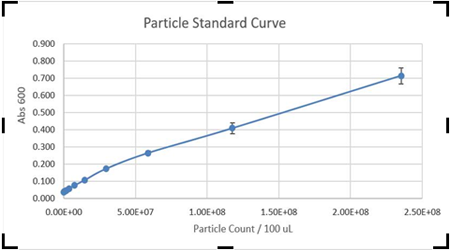 The cell measurement was under the same condition with the particle standard curve and the fluorescence standard curve, using the same plate. 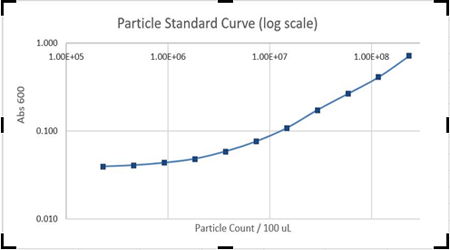 Measure the OD600 of cell cultures, making sure to dilute to the linear detection range of the plate reader. Then dilute the overnight culture to OD600 = 0.1 in 1 mL of LB + Cam media. Do this in triplicate for each culture and check the OD600 to make sure it is 0.1. 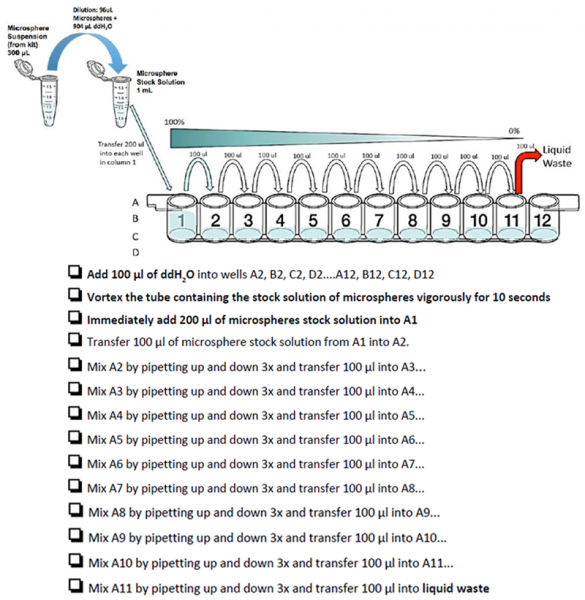 Do the following serial dilutions as blow. Count the colonies on each plate with fewer than 300 colonies. And multiple the colony count by the final dilution factor on each plate to get the colony forming units (CFU) per 1mL of an OD600 = 0.1 culture. The results of the CFUs and the flow cytometry data have been submitted in time by online forms and a zip file. Thanks to the detailed protocol, our Interlab experiments went on well through the process. The Excel provided makes it convenient to process data. And the warnings are necessary, such as LUDOX cannot be stored in refrigerator. Besides, the protocol really pays attention to the operation errors and reminds us in advance. However, there are some disadvantages. Some of the materials are not sufficient enough, like Silica Beads. More samples and replicates can be involved to avoid mistakes. Our experiments have got a great result, showing that the protocol is rather detailed and easy to operate. We are pleased to share our data with other teams around the world and we sincerely hope the Interlab study this year goes well.